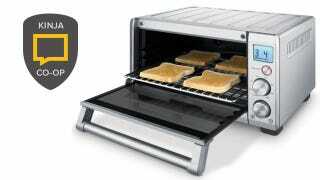 What's the Best Toaster Oven? A toaster oven will, in many cases, cook, defrost, or reheat your food better than a microwave, and more efficiently than a full-size oven. Items your microwave would have left soggy will come out crisp, and you’ll add far less heat to your home or apartment than you would have with a conventional oven. But which toaster oven deserves to take over your valuable counter space? Tell us.